Would you like to know more information about the programs and courses offered at The En'owkin Centre? 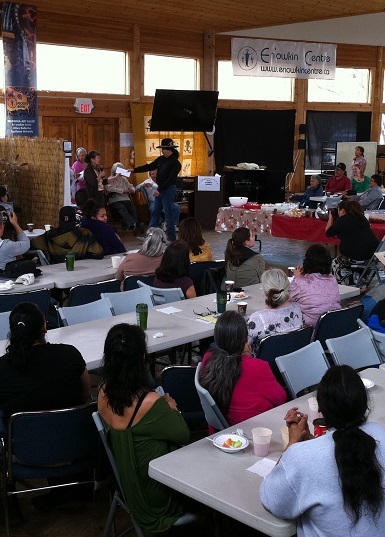 The En'owkin Centre is the host for many regional, national and international Indigenous conferences and forums. Students have access to these networking activities and are always encouraged to participate. We hope that you will join us as a guest, student or friend! The student services office at the En'owkin provides long-term and short-term individual academic counseling as well as a 'drop-in' resource centre to help you resolve any problems you may encounter as the school year unfolds. 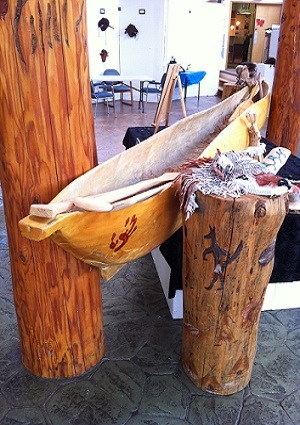 Traditional Aboriginal values and practices are encouraged whenever applicable. Our student advisor will help you with the information on career and program planning, course requirements and transferability of En-owkin Centre courses as well as those of other educational institutions. Career advising is available to help you choose a satisfying career goal using individual/ group interest aptitude inventories and assessments as well as personal skills training. En'owkin will assist students with referrals to Native Drug & Alcohol services within the local community. En'owkin offers a variety of tutorial services including; access to computer resources, instructors (and even fellow students) are willing to provide assistance, tutorials and demonstrations. Students may also contact student services for additional assistance. At the start of the academic year, the student body may, if it chooses to, elect representatives who will work with student services staff to organize athletic, social and awareness events throughout the year. En'owkin maintains a close friendship with the larger Aboriginal community. Aboriginal elders and leaders actively participate in events designed to increase our understanding of the history, traditions and values. Information regarding student loans is available for those students not eligible for Band funding. Scholarships and bursary information is also made available to students. NAPAT students, who qualify, are eligible to apply for tuition and living allowance scholarships. Only a limited number of scholarships are available, so apply early. Unfortunately, En'owkin Centre does not have any student residencies; however, assistance is provided to help students find suitable accommodations. Through the support of the local community En'owkin has been successful in locating suitable accommodation for all students. where students must complete and submit the appropriate forms. Withdraw dates for each dept. may differ. All requests for refunds must be submitted in writing. Please note the refund policy is under financial arrangement. Testing and Interview En'owkin will contact students to arrange academic testing or interviews as required. Acceptance/ Registration All successful applicants will receive a letter of acceptance stating registration dates. Financial arrangements are the responsibility of the student. Students are expected to attend the classes in which they are enrolled. Absences from class for two consecutive weeks will be considered a course with draw, unless faculty is informed otherwise. Students and staff have a right to pursue their duties in an atmosphere free from verbal, physical, gender or sexual harassment and will otherwise be subject to disciplinary action. Students are expected to submit new and original work for class assignments. Students will be reported to the Executive Director for disciplinary action for causing wrongful injury, violating the D&A policy or who unlawfully enters campus building/ office.